This past Sunday night Hank and I attended the 4th Annual Austin Pets Alive "No-Kill Anniversary Party", held at The Palm Door in downtown Austin. Animal welfare is obviously a cause that is near and dear to our heart, so we're more than happy to support it. And Sweet Elise also donated desserts for the second year in a row, so we almost *had* to go. I thought it would be hard to top last year's party, but somehow they were able to do so. 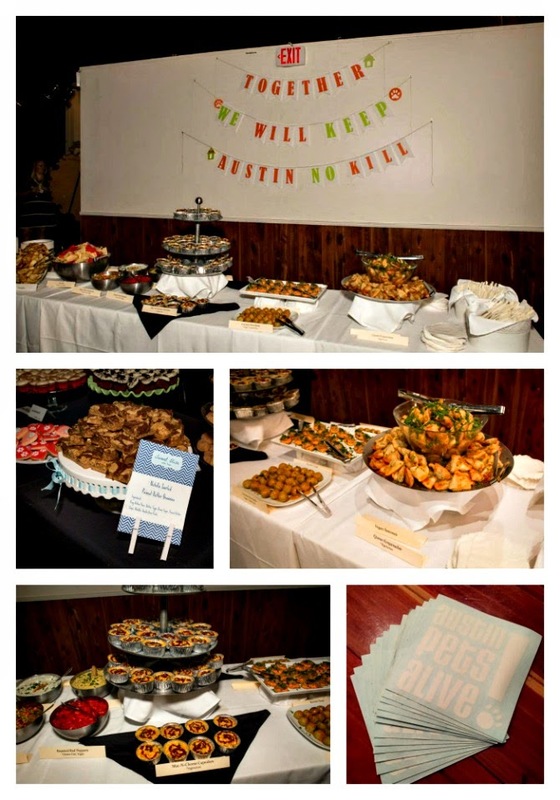 Food was provided courtesy of Pink Avocado Catering, and the vegetarian buffet were delicious. My favorite might have been the macaroni and cheese cupcakes, but everything was so tasty. Along with great music entertainment (the legendary Dale Watson played), there was a silent auction, a photo booth, and on-site screen printing for shirts. We bought shirts last year, and this year it was even more special to pick out colors and what we wanted printed on them. Many thanks to Fine Southern Gentleman for providing their services for the evening. We love our shirts!! Did I mention a photo booth? Did I mention that there were LIVE PUPPIES at the photo booth?! It might have been my favorite part of the evening. 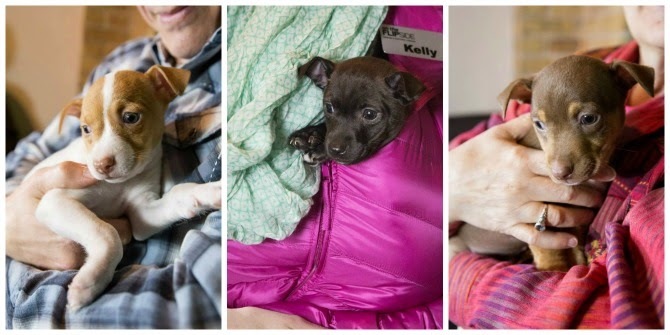 It was all I could do not to stuff all the puppies under my sweater so that I could take them home with me. I'm sure they have all been adopted by now, as they were just so freaking cute. We called it an early night, as we both had to work the next day. But I'm hoping that APA was able to raise the funds needed to continue the great work they do to keep Austin a "No Kill" city. It seriously takes a village to make it happen, and I'm so glad this organization plays such a big part in saving so many lives. Omg live puppies at the photo booth!? Sounds like my kind of party!